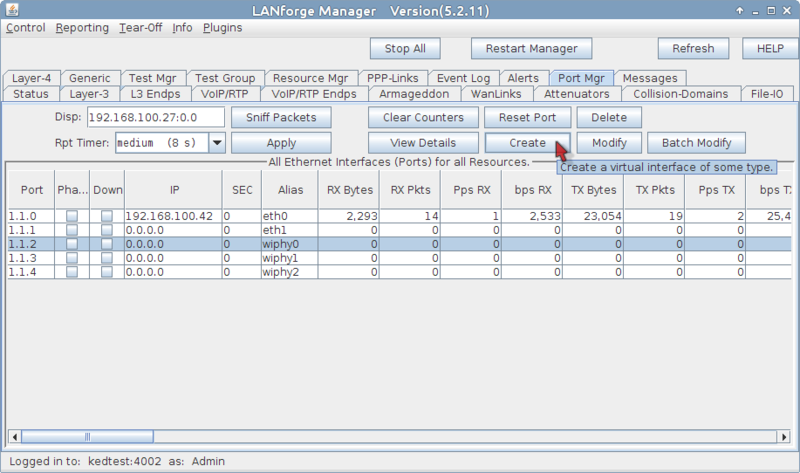 Goal: Configure Two virtual APs with a maximum of ten stations each. Requires at least a two-radio WiFIRE system such as a CT522, CT523 or CT525. This cookbook provides a basic setup to put a Virtual AP on each of two radios. Both APs are operating on separate channels but share the same SSID. We layout a basic constellation of APs in WPA2 mode that quickly fill up and force a station to search multiple channels for a free AP. This is the condition for issuing a Code 17 association refusal. 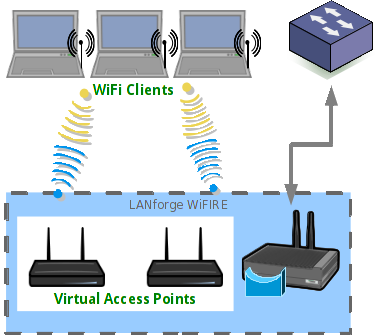 This is not a roaming setup (Wireless Roaming/HS2.0 or 802.11r) because it is not configuring enterprise authentication or roaming specifications. Configure two radios to serve the role of Virtual APs. Start at the Ports tab. 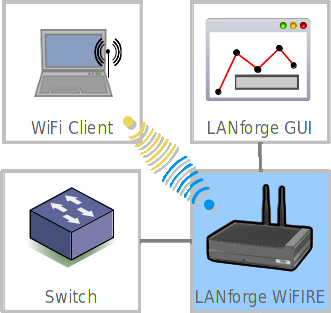 We will configure our second ethernet port as the upstream port for the virtual APs. 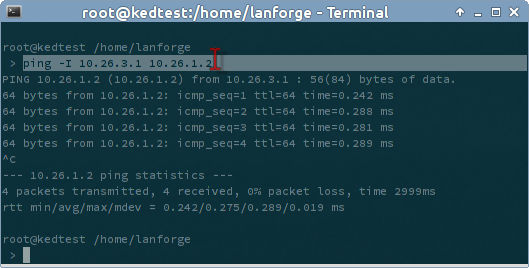 with a gateway address of the 10.26.1.2. (This gateway address matches the eth1 port of a separate system that hosts stations. 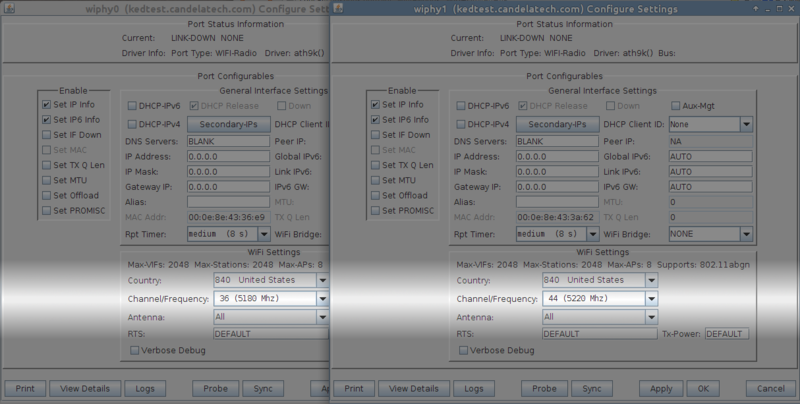 In the Ports tab, select radios wiphy0, wiphy1 and click Modify. You will get two modify windows that you will want to place side by side. Click OK in both windows. 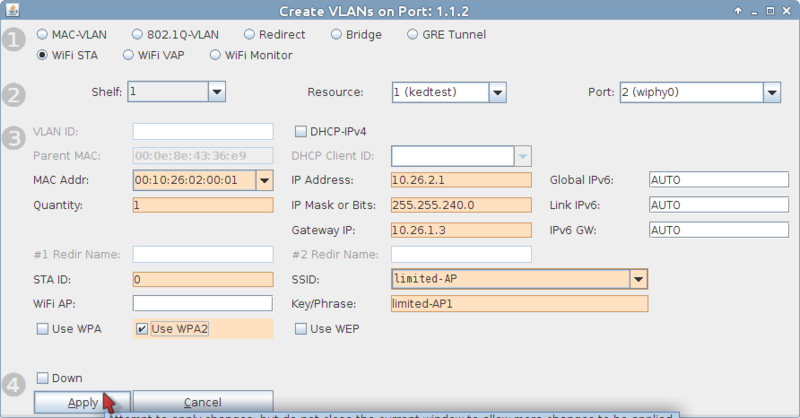 Time to create the first virtual AP. 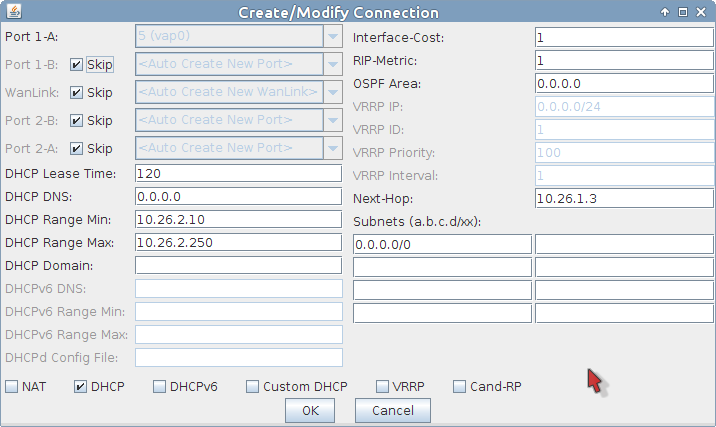 In the Ports tab, select wiphy0 and click Create. 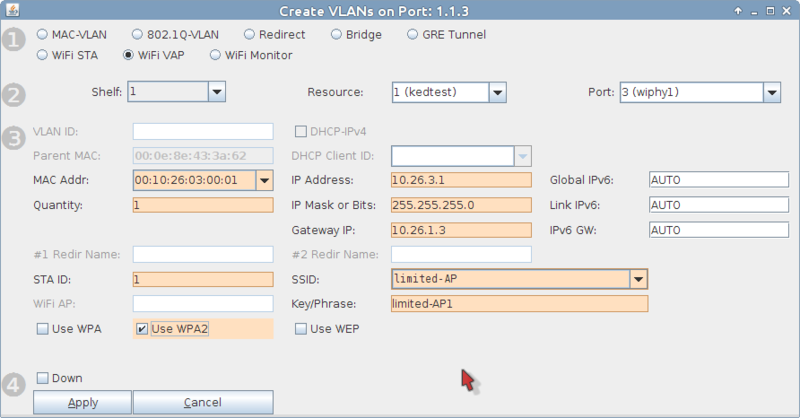 Now craft a second virtual AP. 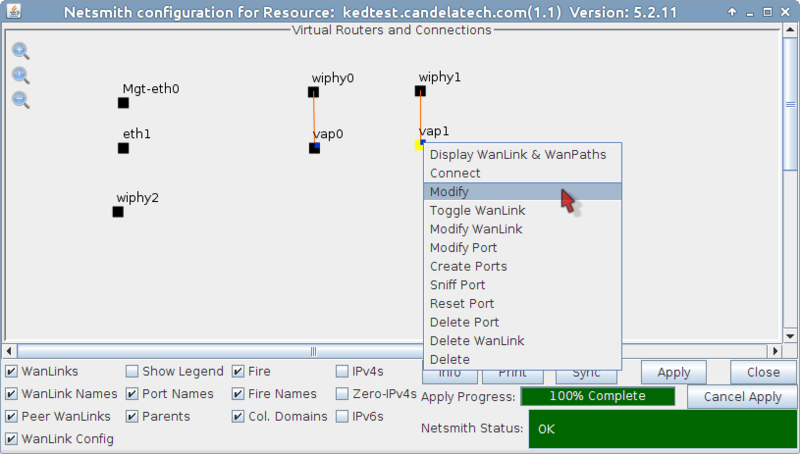 In the Ports tab, select wiphy1 and click Create. We now have two virtual access points on two radios on separate channels. Each is on their own subnet. Now we limit the number of stations that can connect to them. We now have two virtual access points that can both accept a small number of stations. 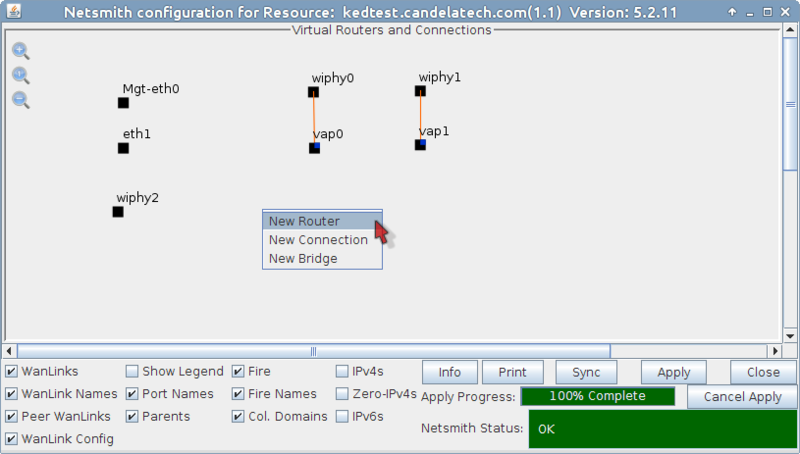 We put them on different subnets because configuring DHCP on each VAP is simpler than adding a bridge device..
Let's proceed to configuring DHCP for the 10.26.2.0/24 and 10.26.3.0/24 networks. 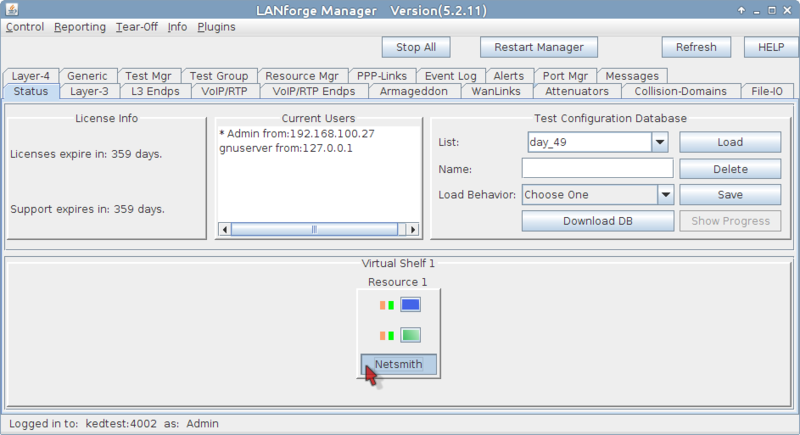 Click Apply in the Netsmith window to commit the changes to LANforge. If you do not, these changes will disappear. Click Apply in the Netsmith window to commit the changes to LANforge. 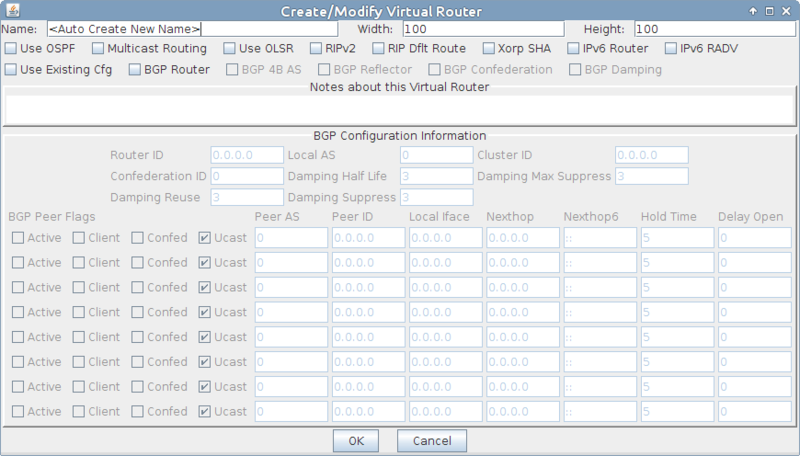 You will see the Create/Modify Virtual Router window. We can use a default configuration. Drag the endpoints vap0, vap1 and eth1 into the virtual router, then click Apply in the Netsmith window.